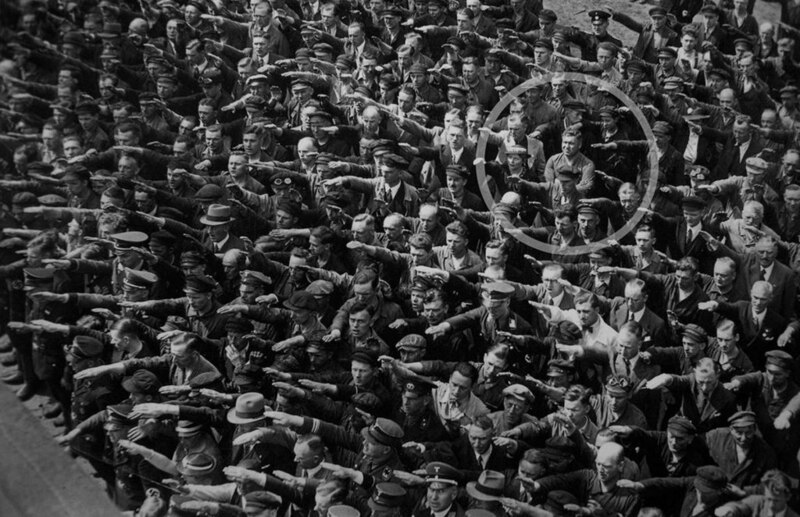 August Landmesser (born 24 May 1910; KIA 17 October 1944; confirmed in 1949) was a worker at the Blohm+Voss shipyard in Hamburg, Germany, best known for his appearance, according to the disputed claim of his daughter, in a photograph refusing to perform the Nazi salute at the launch of the naval training vessel Horst Wessel on 13 June 1936. He had run afoul of the Nazi Party over his unlawful relationship with Irma Eckler, a Jewish woman. He was later imprisoned and eventually drafted into penal military service, where he was killed in action; Eckler was sent to a concentration camp where it is presumed she was killed.